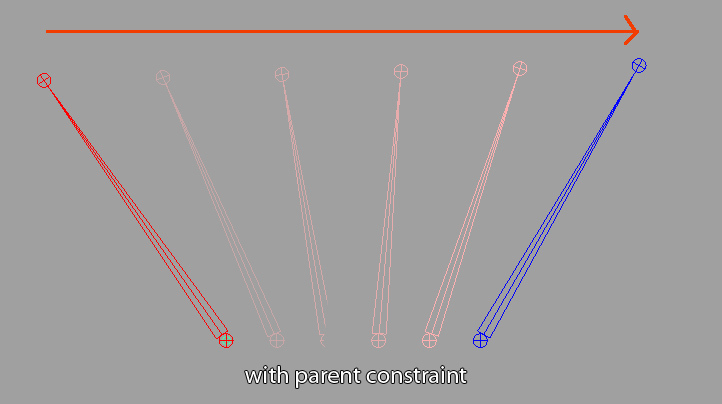 I have seen a lot of tutorials to solve connections between joints with parent constraint. 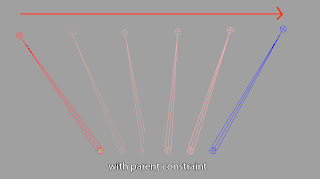 I think is bad because if you want to animate the switching the translation has a linear movement and this is very bad. Check the pictures what I am speaking about. 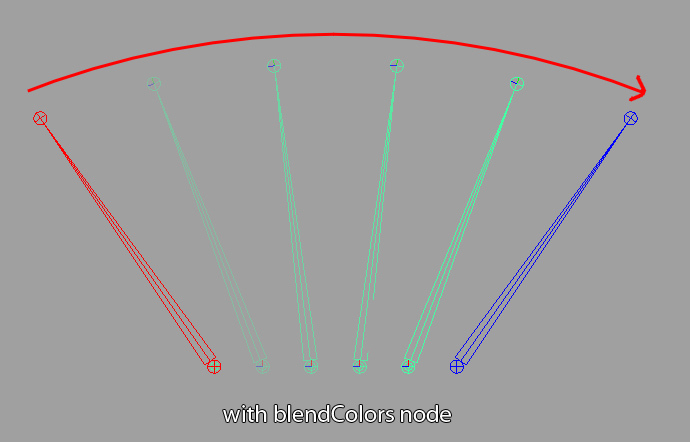 I suggest to use blend nodes for purpose. There are twoBlendAttr or blendColors nodes. 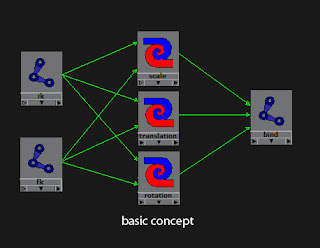 The twoBlendAttr is useful between only two attributes and the other one is for compound attributes. 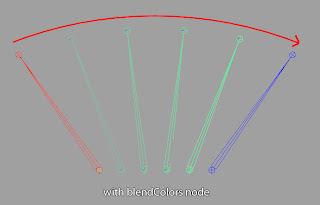 So now we will use blendColorAttr node to connect two joints. And the result is that we wanted.